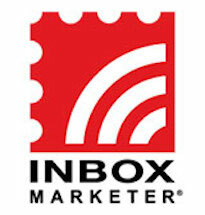 Inbox Marketer is one of Canada’s leading email marketing agencies, serving Fortune 500 and SMB clients from its headquarters in Toronto. We sat down recently with Inbox Marketer’s Chief Privacy Officer and Deliverability Manager Matthew Vernhout to discuss what kinds of challenges his team faces as a fast-growing services provider in the highly competitive digital marketing space, and how Message Systems is helping them maintain vigorous growth. Among its key business challenges: scaling email volumes to keep up with the growth of its customer base. Inbox Marketer’s rapid growth required a scalable infrastructure, but its incumbent MTA couldn’t scale without significant investments in hardware and code development. Momentum from Message Systems helped solve that challenge in short order.